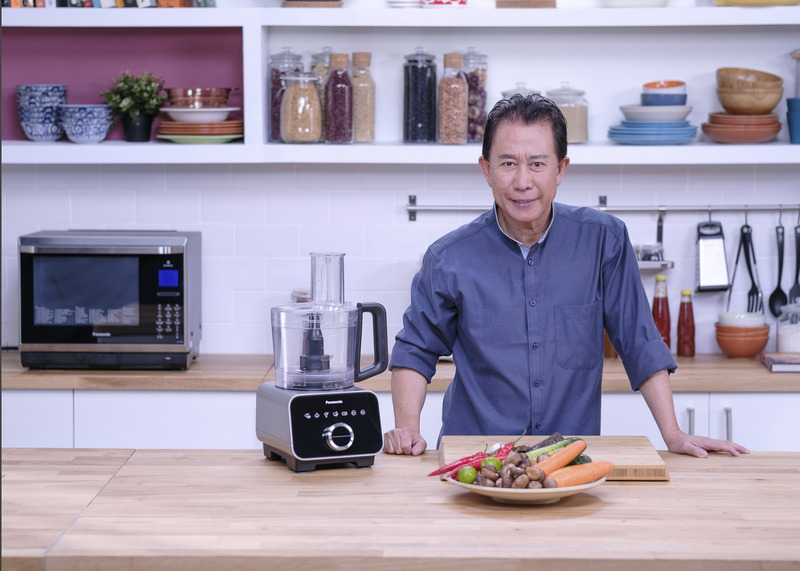 If you don't know who Martin Yan is, I suggest you tune in to the Asian Food Channel more often, because you're sure to stumble on to one of his shows, including his brand new series, "Martin Yan's Asian Favorites", which began its run last January. In this new series, Chef Yan handpicked eight different themes to feature in each episode, where he whipped up four dishes that best represents a country and its unique food culture. In the premiere episode, Chef Yan combined Thailand’s unique “5 senses in 1 bowl” approach into his Cold Noodles Salad and Crispy Caramelized Noodles and shared his take on Malaysia’s Fish Head Noodles and Singapore’s stir fried noodles. Chef Yan captivated his viewers with his mastery of various techniques in food preparation, coupled with his uncanny cool under pressure, and fascinating insight in all things food. 1) We know you love a good challenge in the kitchen, but what type of cuisine do you find the most daunting to prepare? I really enjoy being challenged and I think that’s part of being a chef. Experimenting with flavors, ingredients and techniques. It’s always about learning. If I had to pick one particular cuisine, it would be the Indonesian cuisine, because of the very intricate processes involved. I admire Indonesians on how they prepare ingredients and perfect the unique combinations of flavor and spice. 2) Your mastery of the various types Asian Cuisine is well chronicled. What Western food influences would you say intrigues you the most? I find the infusion of fresh herbs and spices such as in marinades and oils intriguing. 3) Name three people (alive or deceased) who you would include in your dream dinner guest list? 4) What would you cook for them? I would do what I do best, which is Asian food adapted to their palates. 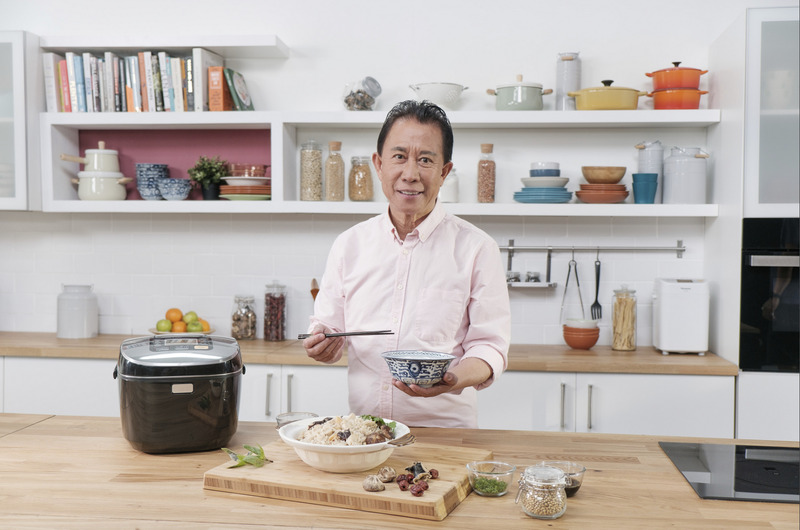 I want everyone in the world to know how easy it is to cook Asian dishes, and to have them over as dinner guests over a friendly conversation and good meal, it would be the best way to introduce the delicious flavors of Asian cuisine to them. I’m always open to trying new dishes, ingredients and flavors. My taste buds always welcome new inspiration! But I would never eat anything that goes against my values as a chef, such as dog meat or monkey brains. 6) Is there a specific dish that you consider your “comfort food”? One of my childhood favorite dishes is clay pot vegetables with rice. Growing up, my mother used to always cook a bowl of clay pot vegetables with Chinese sausage. I can almost smell the fragrance from that dish every time I think about it. Thankfully my mother gave me the recipe for the dish – which is why whenever I crave for it, I will cook myself some clay pot vegetables using the same old pot I have been using for years. 7) Who would you say has been your biggest influence on the road to becoming an acclaimed Chef? When I was a child growing up, China was facing a difficult time economically. My parents had to work extra hard to keep the family together and afloat. It was so tough that we had insufficient food most times, and just to buy vegetables, we had to queue up for at least two hours. During this time, my father owned a successful restaurant business and my mother ran a provision store, so as far as I can remember, I was always surrounded by food and knew how to identify good and bad food from a young age. For that reason, my parents were the biggest influences in my career as a chef. Another person that really had an influence on me was my uncle. I really relied on him when I moved to Hong Kong at the age of 13. I worked in his kitchen part-time while studying full-time, working on most weekends because it was the busiest period. Not only did I get to earn money, but I also developed a deep passion for cooking and learning. I found myself constantly sharing what I learned during the weekends with my friends by cooking for them, remembering feeling a great sense of accomplishment when I saw them enjoying the food they ate. When I grew up, I worked as a consultant for companies and restaurants, and when I was given the opportunity to host a TV show, I took it right away! I was the first Chinese national to make it big in the United States. 8) Which country’s cuisine do you feel should be the next food movement to watch? I don’t think there is one specific cuisine that should be looked out for. In fact, I believe Asian cuisine altogether has gained popularity in America. Nowadays, as more people travel to new and distant places, they are more receptive to trying new flavors. However, I have realized that the young people in the United States are more in favor of cuisines that use lots of fresh vegetables and produce, which is why Cantonese, Thai and Vietnamese food are so popular in the West. The Westerners love the taste of fresh produce – and it is so simple to source for ingredients to prepare these meals, because of the availability of farmer’s markets. 9) Among the current crop of Chefs around Asia, who have you been most impressed with? There are too many up-and-coming talented young chefs to pinpoint just one. I find them all well-travelled, enthusiastic, and innovative – not bound by the old traditional ways, which has meant that they are willing to try and create new and exciting flavors and dishes. I commend them for their desire to take risks in experimenting with different culinary techniques. 10) What advice would you give to Chefs that are still trying to make a name for themselves? I would suggest not to focus on the money that the profession brings you, rather generate a genuine passion and love for the culinary arts, and it will bring all round personal satisfaction! I would also say that working in this industry is really rough. I have been there before, working 10 hours a day 7 days a week. I think the younger generation nowadays is not as willing to work as hard as we used to; so expect long hours but love what you do – and you will never have to work a day in your life!